It should be clear by now that we love India with all our hearts. We have traveled all over the country, visiting 5 times and 28 Indian states, mostly traveling overland by sleeper train because our priority is to meet locals and really get down and dirty with all the craziness India has to offer. But of all the places we visited in India, we fell head over heels in love with India’s mountains. If you have never been to the Himalayas in your life, well, make it a priority — together with a trip on Pakistan’s Karakoram Highway, or a backpacking trip through Nepal. In general, all mountains in India are just incredible, with plenty of trekking opportunities, but this post gives you a list of what, to us expert India old hands — did you know that I just updated the new edition of the Rough Guide to India, by the way? Pick up this guidebook if you are visiting the Subcontinent — are the top hill stations in North India. First of all, what do we mean for “hill stations”? Well, think of them as Himalayan cities in India, or simply, Himalayan villages. Most of the places included in this list are hill stations in the Himalayas. But we won’t tell you about the famous hill stations in Himachal, such as Manali and Shimla — we prefer some lesser-known, harder to get gems. We’ll even suggest one place that’s absolutely not in the Himalayas, but kind of looks like it. So put your trekking boots on, wear that down jacket, and here we go, ready to chase the best mountains in India! The Old Town of Leh, a mesmerizing place that strikes the balance between hill station in North India, and high-altitude oasis on the way to Central Asia (picture by Kit Yeng Chan). Leh is an incredible and yet very touristy place — visit North India in the summer, and everyone seems to be headed to Leh. Still, the main city in the high plateaus of Ladakh has always been a legendary place on the caravan routes that connected the Indian Subcontinent with Central Asia — remember, you are closer to Tajikistan here than to New Delhi. 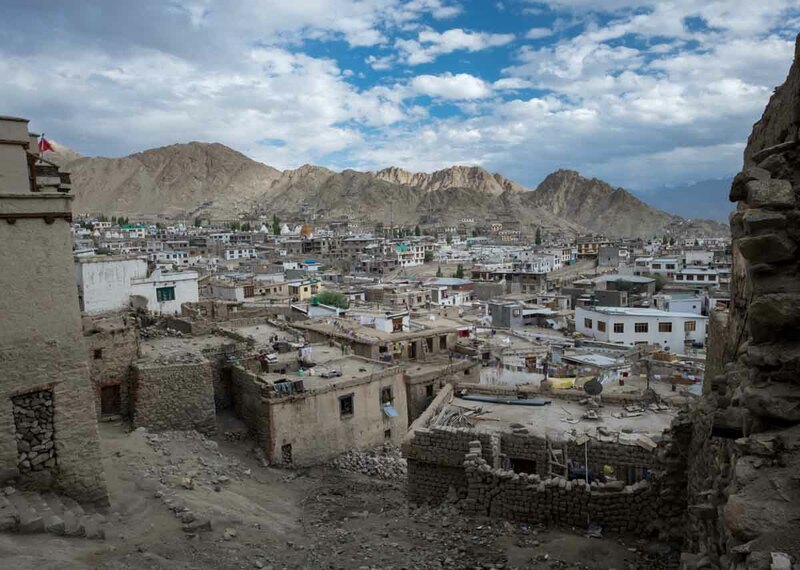 The obvious place to start exploring is the old city of Leh, amassed against a solid block of dry high altitude rocks. There are great treks that leave directly from Leh’s town, like the ones to the Spituk Gompa and the Shanti Stupa. You’ll have to brave climbing in high altitude, but the views from the top over Ladakh’s barren moonscape — some of the aridest mountains in India — are the stuff of legend. It’s also from Leh that you can depart and explore the sand dunes of the Nubra Valley, and Panggong Lake, made famous in blockbuster Hindi movie 3 Idiots. Dhankar, not a hill station in North India, more like a painting from rocky heaven (picture by Kit Yeng Chan). 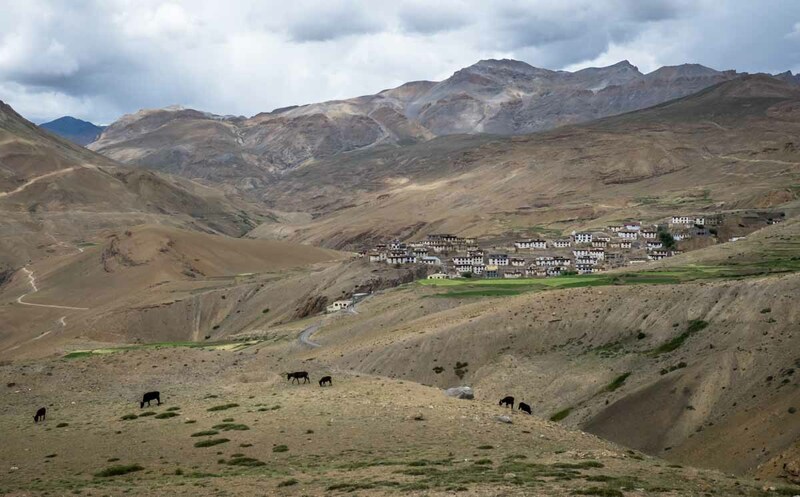 Spiti’s landscape is arid and amazing, and it’s at Dhankar, we believe, where you’ll see some of the most scenic. Literally a high-altitude amphitheater of mountains, Dhankar is famous for its hanging monastery, precariously built on the edge of a 3894mt-high high cliff. It is said that the gompa it’s slowly deteriorating at the foundations, and may soon collapse in the gorge below. If you visit now, you’ll be able to see a room where the Dalai Lama slept during his visits to Spiti; an embalmed Marco Polo sheep hanging from the monastery’s roof; and you’ll meet some of the resident lamas, who won’t be shy about showing you around the shrine’s grounds. Besides the monastery, Dhankar deserves some time to trek to a high-altitude lake where local shepherds bring their cattle and donkeys to graze. You can stay in the guest rooms of the village’s second, newest monastery, which also offers simple meals. (picture by Kit Yeng Chan). Kibber will take your breath away: yes, at 4270mt of height, it’s possibly the highest Himalayan village we ever camped in our travels. It’s only 20km from Kaza, after the gorgeous Key monastery, and is set on an horseshoe-shaped ridge overlooking the Spiti river down below. Certainly one of the most unexplored places in Himachal Pradesh. Kibber’s 80-odd houses are uniquely made of stone, not mud like the rest of the households found in the Spiti Valley, and sees the slow activity of locals who go about their business. There are a couple of homestays and guesthouses, a field where visitors can camp, and nothing much beside high altitude quiet. But we did like the unique shape of the village, laid like an amphitheater of stone homes set around the rim of a harsh Indian mountain ridge. The seclusion of it all is a good reminder that life doesn’t necessarily have to roll to the breakneck pace we submit to living in cities. The center of Nako is a beautiful little Himalayan village, one of the most unexplored places in Himachal Pradesh (picture by Kit Yeng Chan). 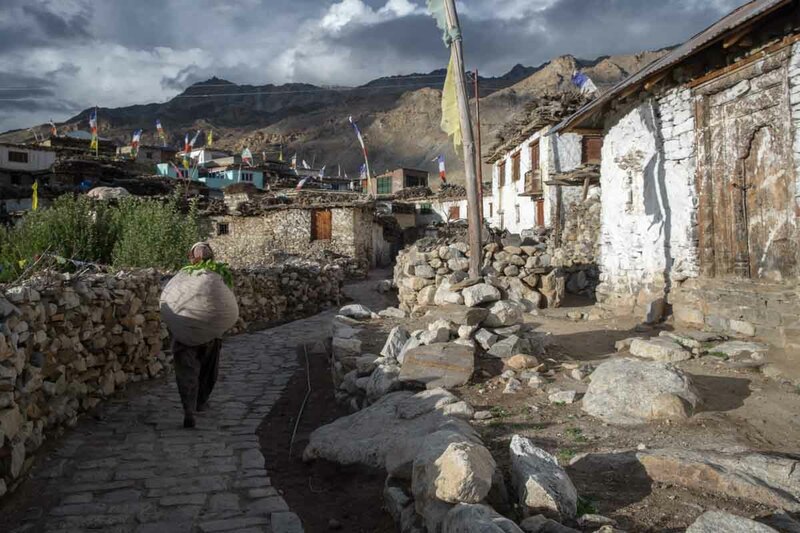 Nako is a small Himalayan village set at an astounding 3,625mt of height. This may possibly be the reason why it’s one of the most unexplored places in Himachal Pradesh — on top of the Inner Line Permit that tourists need to acquire prior to visiting Kinnaur from the Spiti Valley. 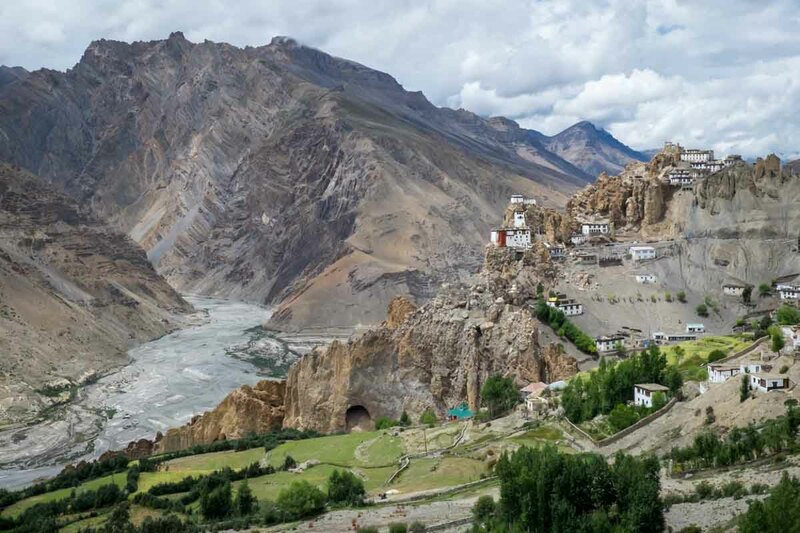 Indeed, Nako lies only a few kilometers away from the Tibetan border, one of India’s most sensitive border areas, and for this reason, traveling to the whole region of Kinnaur needs a permit. Once you get one in Kaza (Spiti) or Rekong Peo (Kinnaur’s main center), you’ll be ready to board an onward bus and travel to this Himalayan village hamlet centered around a stunning lake. The best thing we did here was trekking towards the Tibetan border: a road climbs high behind a group of Buddhist stupas perched on a rock high above the town, and proceeds into the mountains to the villages of Chango, Hango and Tashigang. Walk as far as you can, and you’ll be surprised by the views. Back in town, don’t forget to visit Nako’s monastery, with its 3.5mt-high, 500-year-old Tibetan prayer wheel covered in yak skin. And if you want to go more lama than that, grab a fried Tibetan bread with jam at one of the several guesthouses lining the town’s short main street. When we were in Kalpa, I got horribly sick and visited the toilet at least 10 times in a single night. The next day, as Kit pushed my severely dehydrated body up the hill to the “local clinic” — a house with one man seated behind an electronic heater — I thought this would have been the place I would die. Luckily for myself, after gulping down a massive black pill that looked like a shrunken duck egg, my intestinal woes disappeared — I so much LOVE Indian local medicines — and I finally started enjoying the surrounding. 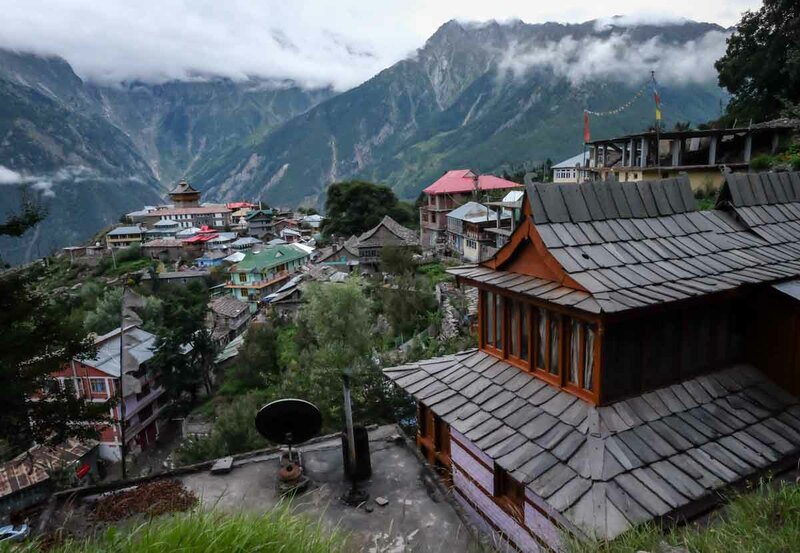 Kalpa is one beautiful town in Kinnaur, set on a 2,960mt-high ridge just uphill from Rekong Peo (8km below), and is one of those unexplored places in Himachal Pradesh you really should visit — regardless of its deadly pakoras. Its famous for the apple orchards that extend all around the valley, and syncretism of Buddhism and Hinduism, reflected in the unique architecture of its temples. You can strike off a relatively easy 4km-hike to the Chaka Meadows, which brings you up to 3800mt and in front of great views of the Kinnaur Kailash mountain range. The Queen of all Himalayan hill stations, possibly the best known Himalayan cities in India, never ceases to surprise. Whether you are waiting for the toy train to rock by so close to the roadside you won’t believe it’s real, or to see a pristine view of mount Kanchenjunga — the third highest peak in the world at 8,586mt, and the tallest mountain in India — looming over the city, Darjeeling has it all. For all the reasons above and more that include Himalayan tea gardens, fresh air, and a definitely hip vibe, Darjeeling is also a very solid tourist hub in Northeast India. 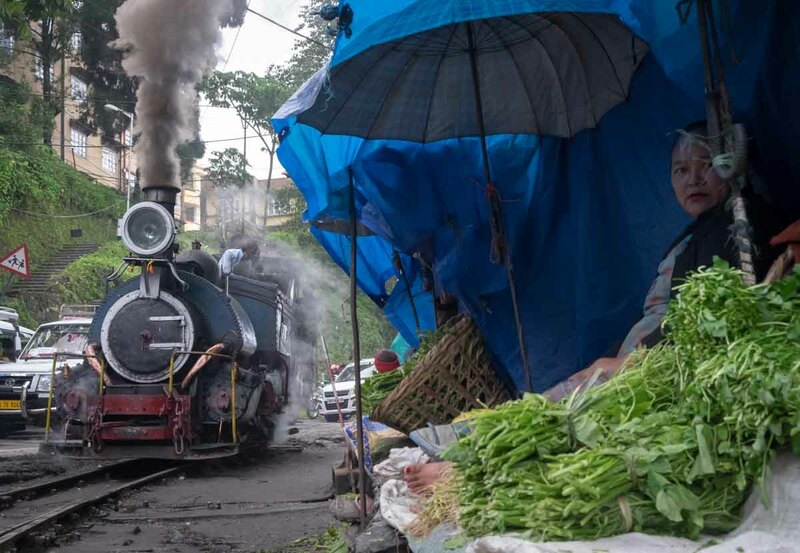 Don’t be put off by the hordes and just go, for Darjeeling is busy, but it always appeals: take a stroll to Chowrasta, also known as “the Mall”, into the heart of this old British Himalayan hill station, and see how ancient cottages like the Windamere Hotel blend with the latest trendy cafes. 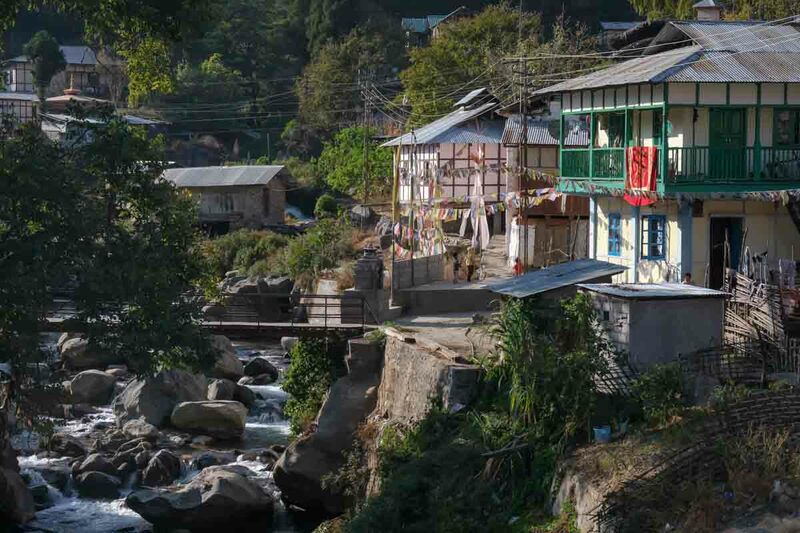 You can eat, shop, catch rock and alternative music gigs, and meet interesting locals as you start dipping your feet in the unique atmosphere of the Eastern Himalayas. And it’s from Darjeeling that most travelers proceed north to beautiful Sikkim, or west into Nepal and its world-famous Himalayan hiking trails. Try to come from November to January, when views are the clearest, and Kanchenjunga soars high and pink in the morning light. 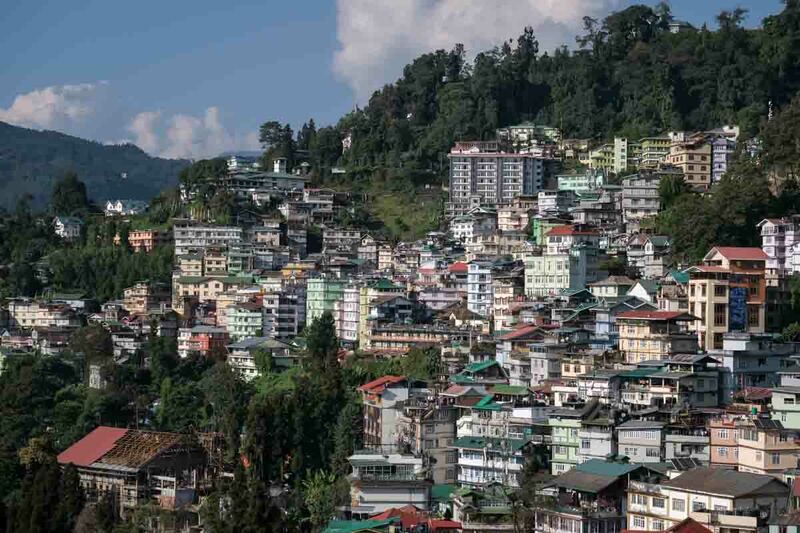 Sikkim’s capital may be the smallest in the world, but it still has a lot going on. Set on a forested ridge that faces Rumtek, one of Sikkim’s most important monasteries, it’s often bypassed by travelers en route to other places to visit in Sikkim, but mistakenly so. From the comforts, cafes, and shops along MG Marg, to the suburban hills of Deorali, Gangtok straddles two, and more, different worlds. You just have to drive a few kilometers out of town to find yourself amidst Sikkim’s purest nature. At sunset, climb up to Zero Point and have a drink at popular club Lounge31A. Its tall glass windows overlook the valley, giving you a 360-degree view of the city as it lits up in the night. The center of Dirang Dzong is scenically set above the river (picture by Kit Yeng Chan). Dirang is a bustling bazaar town whose first impression won’t certainly leave you much impressed. But leave the congested town for later when you will need to get an onward jeep to Tawang or Bomdila and stay at Dirang Dzong, the fascinating old Himalayan village set along the Dirang river. The old fort is crumbling and closed to tourists, but it’s set into a charming little hilltop community of wooden homes which towers above the river. Visit the ancient gompa, and don’t be surprised if, besides a giant prayer wheel, you’ll see strands of buckwheat noodles that locals leave here to dry. Back in the bazaar, besides an interesting Yak Research Center, New Dirang has some beautiful Buddhist monasteries, like the Kalachakra gompa, dedicated to the Wheel of Life, and the older Thupsung Dhargye Liung. Try to time your visit in the morning or late afternoon to observe (and listen to) the monks pray with a fanfare of Tibetan trumpets and drums. A half hour away is the Sangti Valley, winter home of the black-necked-crane, and a popular spot for camping. You’ll need a driver or your own set of wheels to go there. The home of India’s biggest, and the world’s second, Buddhist monastery lies at the end of the road, about 20km from Tibet and sheltered by 4170mt-high Sela Pass directly to the south. Tawang is where the current 14th Dalai Lama escaped from Tibet in 1959, finding its way into India. But it’s also the birthplace of the 6th Dalai Lama — there’s a small, friendly monastery in a 20minutes walk downhill from Tawang’s main market. 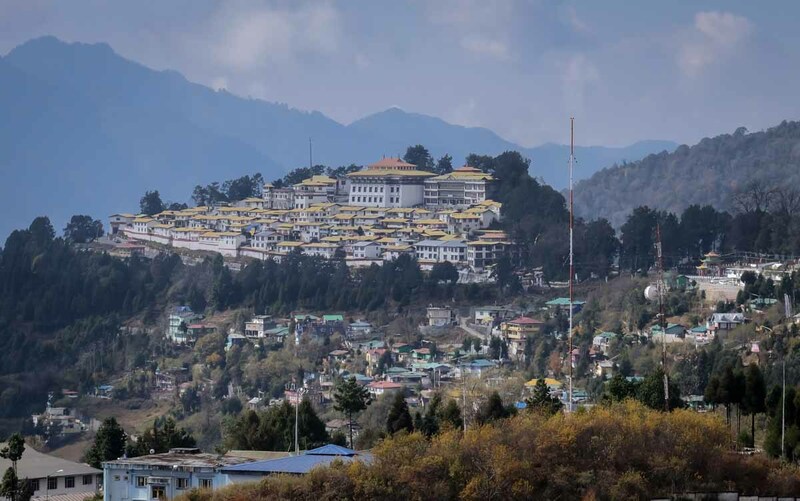 Coming here has no point without visiting Tawang monastery: when we went, on Children’s Day in early November 2018, we witnessed dozens of young novice monks practice their mantras for hours on end. Try to visit when the monastery has a puja, or you’ll miss out a great experience. The town itself is pleasant to browse for a few days, with decent accommodation options like Mon Palace and Tenzin Paying Guest House. The most sizable Himalayan hill station on the way to Tawang is actually a much nicer place than what most travel guides make it appear to be — but oh boy, if it’s bloody cold. Possibly the coldest we experienced in all our time in Arunachal Pradesh, even if the town’s only 2415mt-high. But it does get less sun, as it’s sheltered by high mountains, like the snow-covered peaks of Gori Chen (6488m) and Kangto (7042m). Most people go visit Bomdila Monastery (Gentse Gaden Rabhyel Ling), which was inaugurated by the Dalai Lama in 1997. Every year at the beginning of November, this gompa hosts a big chaam (festival of lama masked dance). But there is more about Bomdila that doesn’t meet the eye, and we were lucky to experience thanks to Holiday Scout, a local-based tour operator that organize custom tours in Northeast India and Ladakh that go well beyond the beaten track. We went on the mountain beyond the town, hiked to Shiva’s Nag Mandir, and then continued to the Rizing Woselling Monastery, crowned by a giant statue of the Second Buddha Padmasambhava, and inhabited by a group of young monks of the Nyingmapa sect. Come in the afternoon, and you may meet Sange Lama and his novices: not only they can speak English and explain to you the basics of tantric Buddhism, but they also use human bones and skulls in their mesmerizing pujas. If you catch Sange Lama, ask him to read your future — he’s painfully good at it. 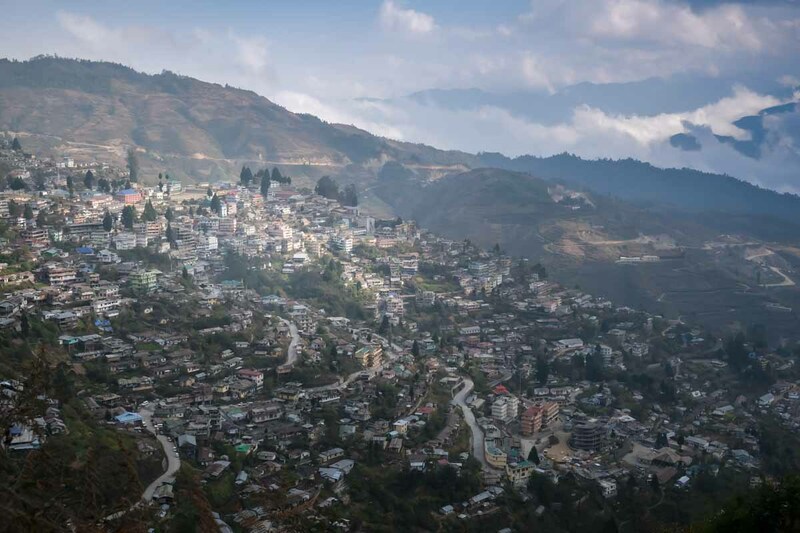 A view of Kohima from the hillside below the central bus stand (picture by Marco Ferrarese). The hilly northeastern state of Nagaland borders Myanmar and is not a part of the Himalayas. Its capital Kohima however, founded by the British in 1878 and worldwide famous thanks to the antics of the Hornbill Festival, really feels like a hill station in the Himalayas. With an altitude of 1200mt, it’s certainly no high-altitude star, but it’s indeed a beauty, encased between two high slopes and green valley. Wait for sunset, possibly from the top of the hillock where the original Kohima Village still stands. Look at the rows of homes and buildings lighting up on the mountain slope across the valley, and marvel at the insignificance of your insect-like being against the mountains of Northeast India. 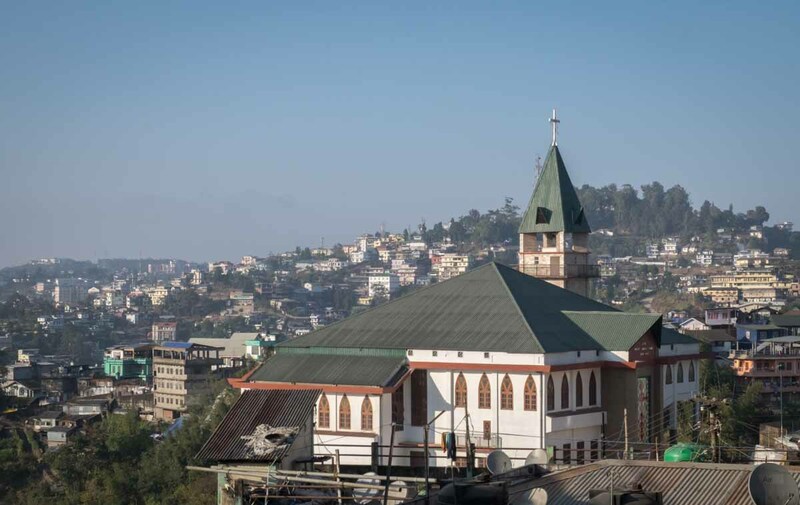 Remember that with Kohima being a strong Catholic outpost, things wrap up pretty early; but the place is pleasant enough to spend a couple of days, making it your convenient city base as you move around visiting other Naga villages nearby. Don’t forget to visit the War Cemetery, which celebrates the casualties of the Battle of Kohima, one of the most crucial battles fought here during World War II — a turning point during the Burma Campaign which blocked Japanese expansion into India. Kohima is also a convenient starting point for the beautiful Dzukou Valley trek, which starts in Viswema, about 25km south of Kohima on the way to Manipur. MARCO FERRARESE is a Penang-based travel writer and book author who has written more than 100 articles about travel, culture and extreme music in Asia for a variety of international publications that include the BBC, CNN, the Guardian and Travel + Leisure. He shares is decade-worth Penang experience on Penang Insider and dispenses useful knowledge on how to make a living and meaningful encounters with travel writing on Monkey Rock World.